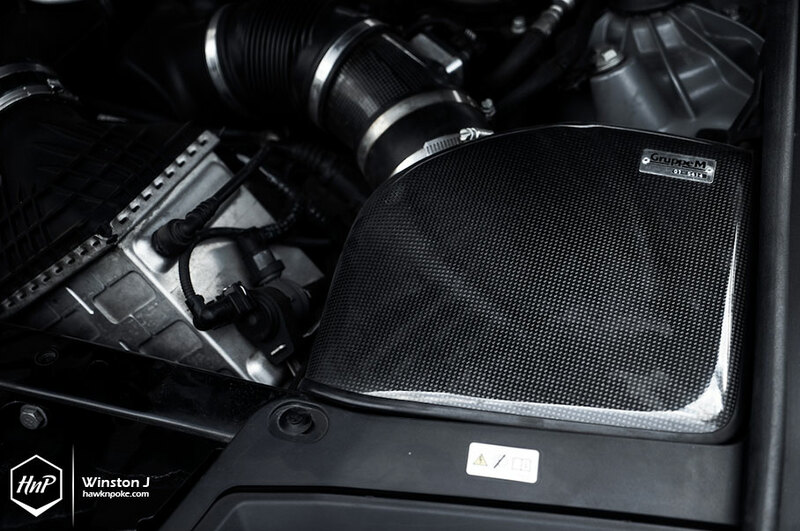 Building a project car; it’s the automotive enthusiasts’ equivalence to chefs’ experimentation with new dishes. Coming up with creative ideas and never-seen-before fusions as an attempt to create memorable after-tastes. While some might prefer to go by the book of what’s been tried-and-true, others voyaged to the deep seas in search of treasures waiting to be unraveled. 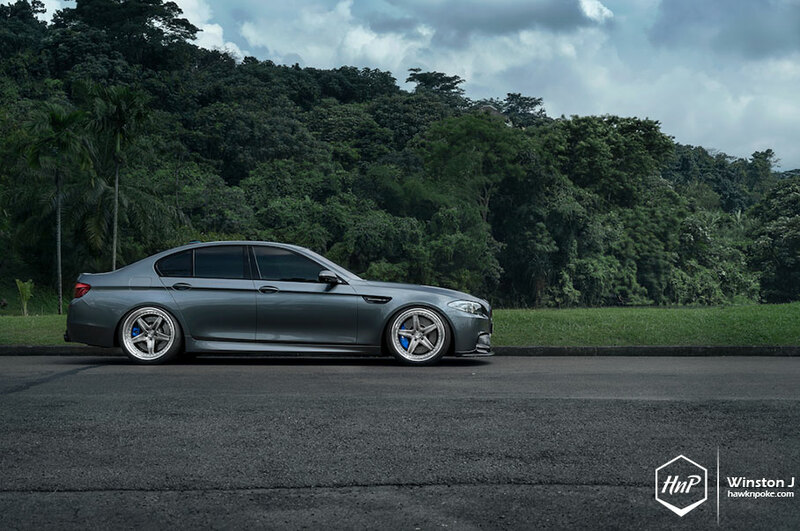 Meet today’s astonishing M5 build. A fusion so daring some regard its footworks setup as ‘mission impossible’. 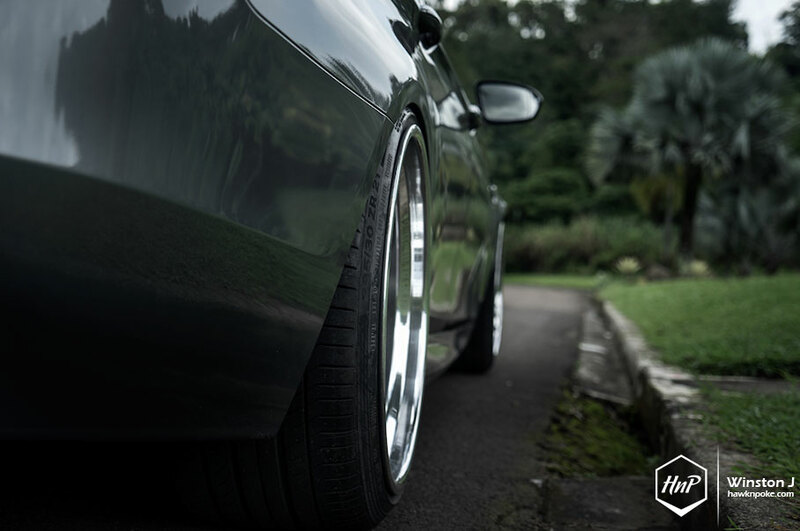 “To stance or not to stance?” the sort of question that enticed thousands of arguments for-and-against in the online forums nowadays. 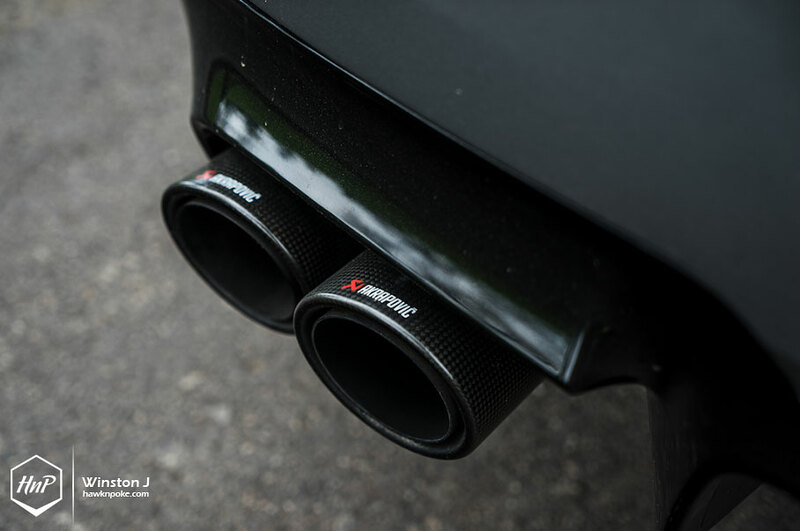 If you’ve browsed through Porsche’s and BMW M’s forums, then you knew most members are truly against these skinny tires and wide wheel setups on such performance vehicles. Yet there’s always a few fellow forum members who liked to stir things up a bit with their gorgeous-yet-controversial setups. 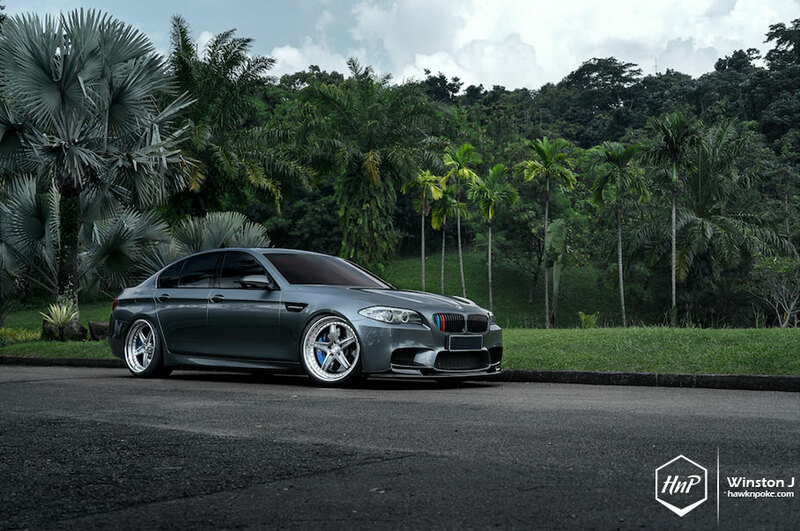 Browsing through the forums, one of the most frequent setups I found on F10 M5’s are 20″x9.5″ fronts and 20″x11″ rears. 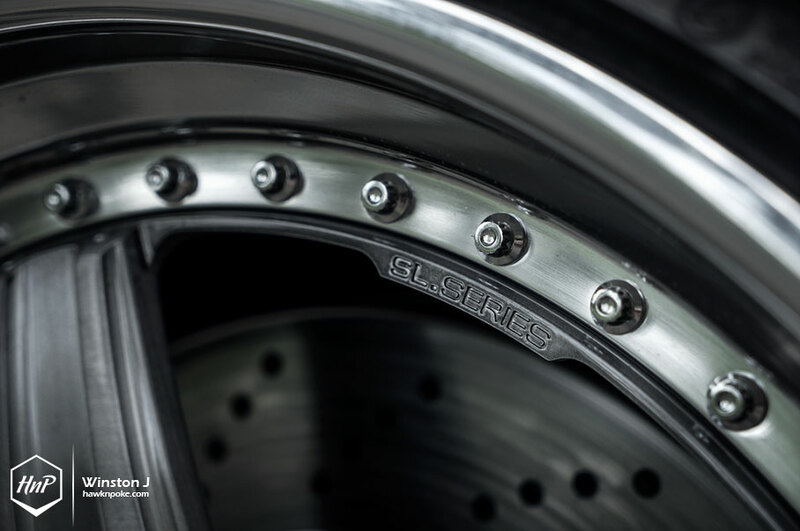 It’s the sort of footworks setup that allows minimal stretch on the tires, as well as minimal rubbing issues. 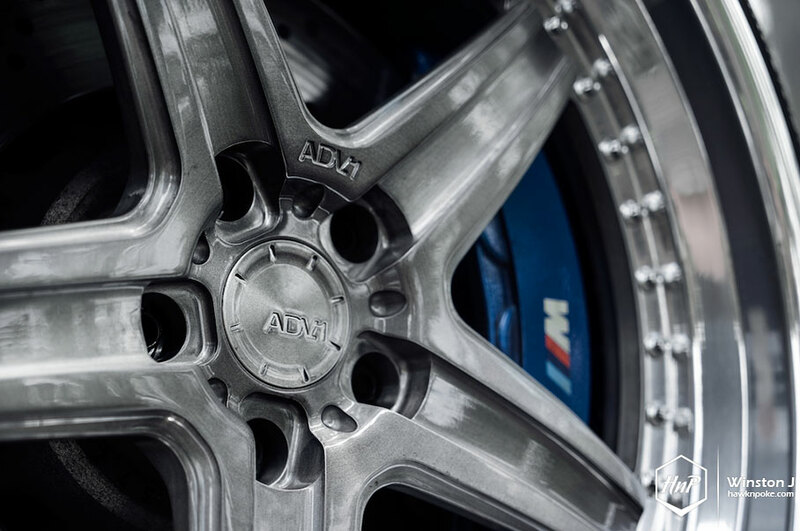 Today’s M5, however, has been fitted with an additional inch both in diameter and widths. 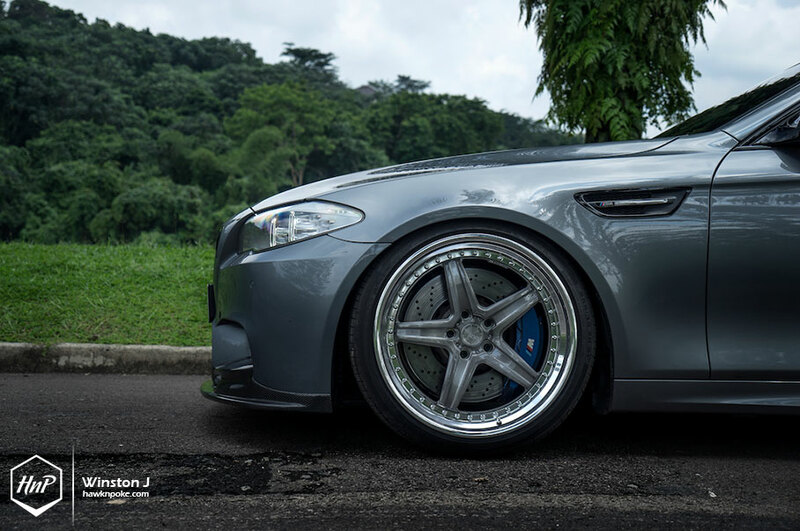 Yes, currently it’s running these sleek ADV.1’s at 21″x10.5″ fronts and 21″x12″ rears. 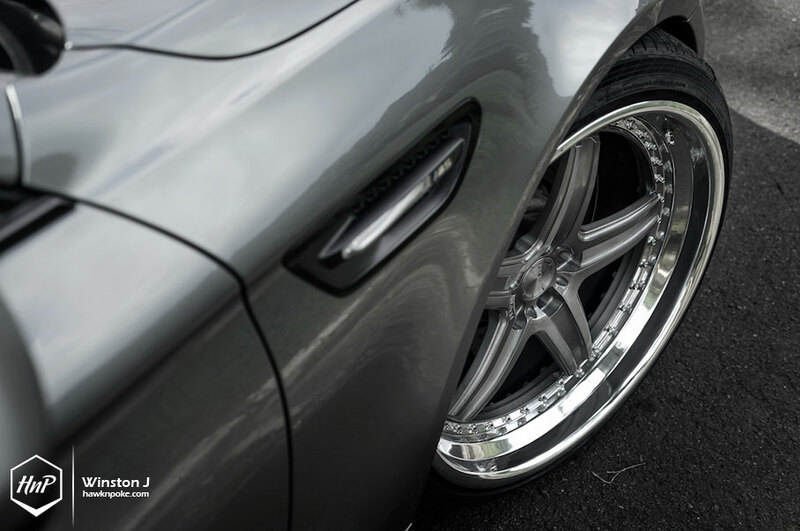 A maximum wheels-lip combo that the owner has truly sought after ever since the project was started. Will it rub? 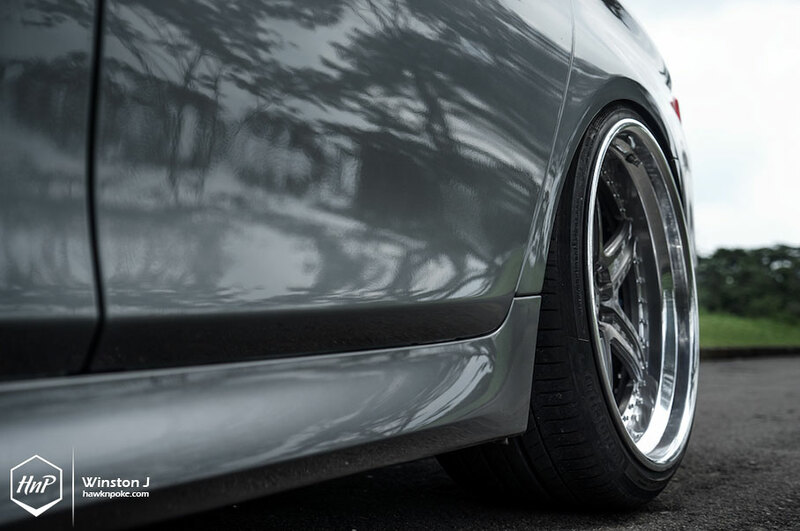 Such an aggressive fitment, paired with lower-than-most lowering setup, results in this astonishing look you see today. Yet without any wheels nor tires rubbing on the fenders whatsoever. How was this achieved again? By wrapping arguably stretched tires around those jewels. 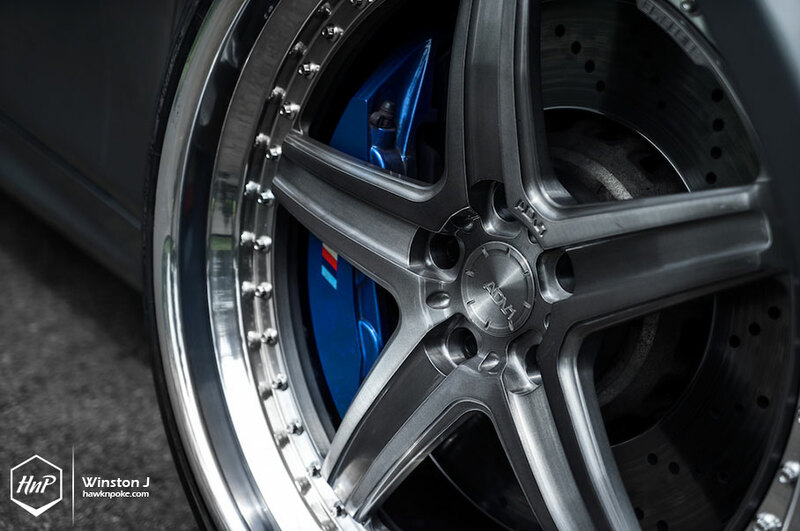 At 255/35 fronts and 295/30 rears, it’s the kind of tire-stretch not many sports car enthusiasts will approve. 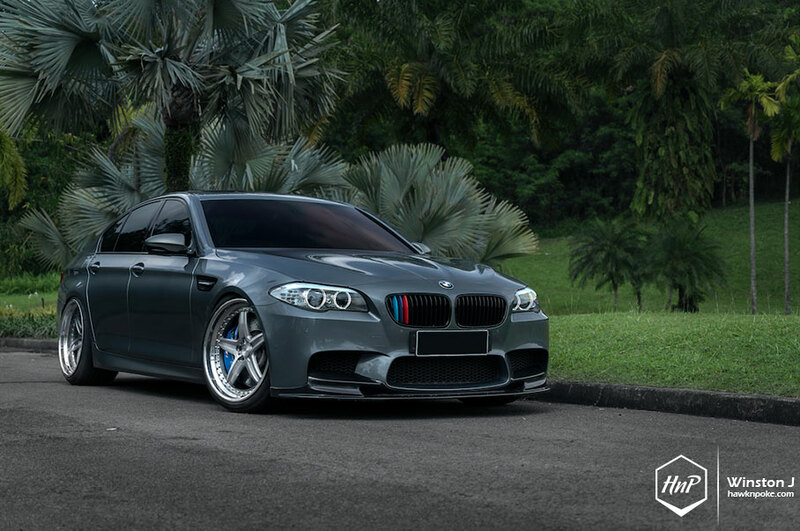 Especially considering the M5’s hunger for traction with its near-600 horsepower figure. Yet it’s all for fun, and fun for all. 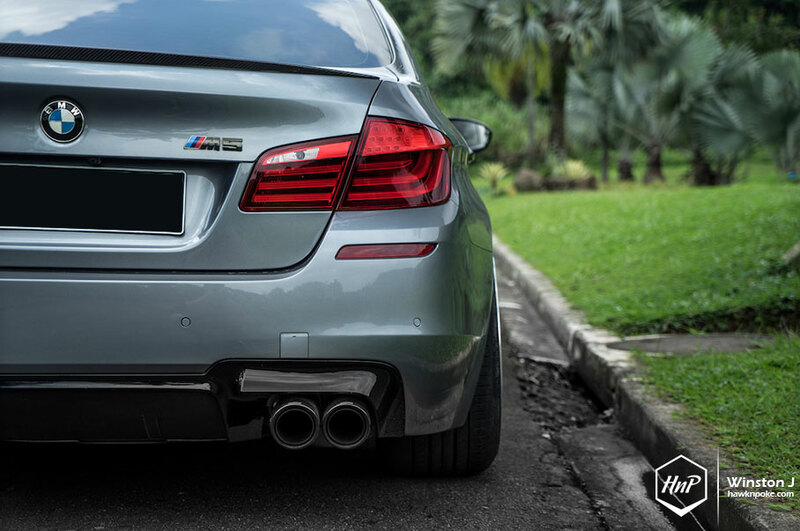 Even straight off the factory floor, the M5 has been well-known for its personality disorder. 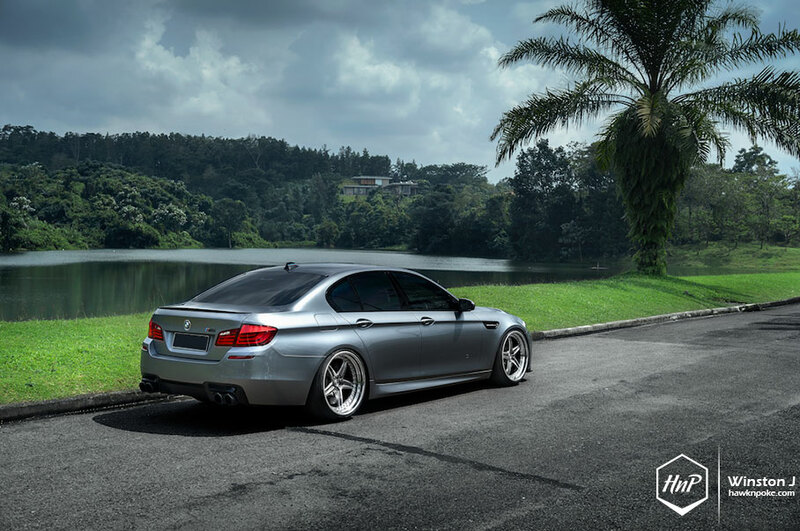 An exciting personality that’s been in the DNA of every M5 in history; the roots of its success. Why? 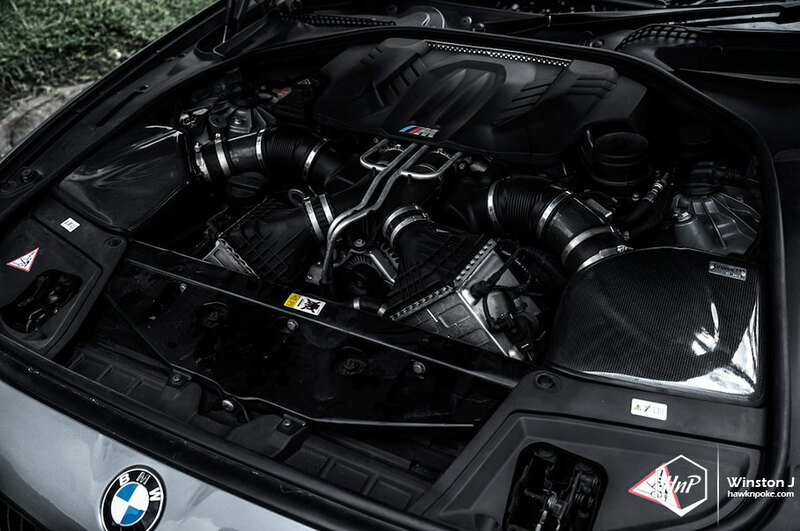 Because it’s a supercar-murderer wolf hiding underneath the bulky sheep clothing. Much like the Kingsmen underneath their well-tailored suits. Professional murderers with gentlemen’s manners.